Personal injury specialist firm Bergener Mirejovsky has recruited Breaking Bad star Danny Trejo to act in a promotional video. The hilarious 30 second You Tube clip, with already over 45 thousand views, has the well-known tough guy explaining that the Boogy-man is scared of him and that Waldo is hiding from him. “But if I get in an accident, I am calling the boss, James Bergener,” he said. 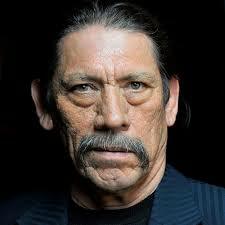 “Danny Trejo isn’t an attorney or a client. He’s a paid badass. If you need to take down a drug cartel on-screen, hire Danny. But if you need to take down an insurance company in real life, hire Bergener Mirejovsky. Attorneys licensed in California,” the text reads. The clip was posted on viral video site Break.com, after it was posted to You Tube on the 17th of July, according to Legal Cheek. Watch the highly entertaining monologue below.